The crème de la crème of cunning crooks and crafty con artists have been leading US citizens a merry dance with their latest scheme: using the Internal Revenue Service’s caller ID to make threatening calls demanding that their victims pay their ‘overdue tax’. In the aftermath of the initial bombshell, the caller will casually request that the tax be paid via debit card or a wire transfer, both methods conspicuous by their untraceability. A man with a thick accent said his name barely audible and claimed to be from the IRS and said that this call was regarding some debt I allegedly had. He got very rude and threatened to freeze my accounts and credit cards. The thing is, I don’t have any debt and I’m VERY sure of it. So I told him not to call anymore and, still hearing his protests through the phone, I just hung up. Very savvy, guys. Hang in there: we’re proud of you. However, these guys have gone the extra step. Not only are they calling from what appears to be the IRS’s bona fide number (spoofed, naturally), they also somehow know the last 4 digits of your social security number and make it a royal flush with staff names, badge numbers and often emails with the IRS logo and format. But they don’t even draw the line there! We covered the worrying rise in number-spoofing in a previous blog, “Who Spoofed the Sheriff?”: fraudsters can make use of technology that masks their real caller ID and replaces it either with a nonsense number (000-000-0000 being a favourite), or (oh the audacity!) the caller ID of a publicly recognised establishment. If you don’t comply, or seem doubtful, the guys behind the IRS scam will proceed to follow up the call with further harassment from the police or the Department of Motor Vehicles; number-spoofing is child’s play to these guys so prepare for a barrage of calls, all ostensibly from the correct caller IDs. Armed with this facade of legitimacy and threats of arrest, deportation or confiscation of your business or driving licence, they’ll have you listening. However, as always, we urge you to BE WARY! IRS Acting Commissioner Danny Werfel stresses that in the first instance, notification about due tax will in most cases be sent in the mail. Payment will be requested via cheques or bank transfers, never wire transfers or debit card! Moreover, they are an independent body and do not act in conjunction with state police or other organisations. If you receive an unprompted call claiming to be from the IRS, we advise you to call them directly on 800-829-1040. You can also wise up using the official IRS ‘scam-alert’ web page. 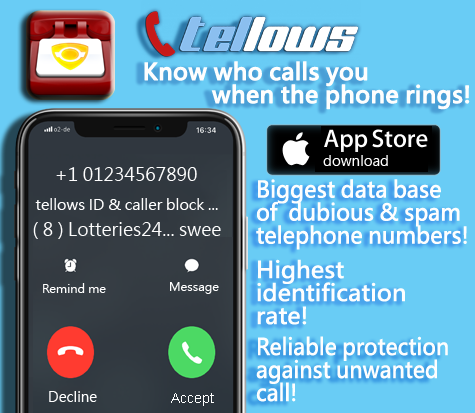 In the meantime, keep searching and reporting numbers on tellows and give each other a hand in the fight against scam callers! This entry was posted in knowledge and tagged Computer Department, cost trap, IRS, scam artist, social security number, spoofing, tax payment scam, telephone numbers, telephone scam, weekly update, wire transfer on Friday November 15th, 2013 by Ellen. This week we are going to discuss the aggressive techniques frauds use on you. These scammers aren’t scared to threaten you and even mention that you can contact your attorney. With these methods the threat sounds even more convincing. The basic idea is as follows: they leave you a message on your phone saying, that there is a restraining order, investigation, previous conviction or something else on you and if you or your attorney don’t answer the call in the next 4 hours, they’ll begin to take the next steps, like contacting your employer and delivering the papers. If you actually try to call them back, it doesn’t work for a few hours. Then, when you get through, no further information is given beside that you have a debt to pay. No proof will be served either. Important and fear inducing names can be used too, like HSBC ( Hongkong & Shanghai Banking Corporation Holdings) or IRS ( Internal Revenue Service) to apply even more pressure. But sometimes the frauds don’t really try that hard, for example, all of them take on the name ‘Johnson’ or they let someone do their work, who has a thick accent The most stupid mistake though, is to actually call someone from a complete different and far far away area code. We picked out 3 numbers which seem to practice these techniques enthusiastically. 1. The first number 2162175984 from Cleveland has got the time limit of 4 hours and won’t give you any information or a debt verification. 2. 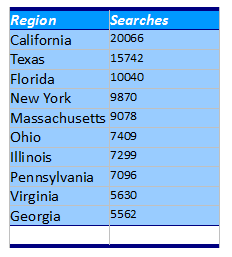 The second number 7572146785 from Virginia just leaves an automated message, not making an effort to do it personally. In return they’re quiet stubborn and will harass you for a long time. 3. And the third number 5302385813 from Shasta Lake with the thick accent claimes to be from the IRS and threatens to freeze all your accounts and credit cards if you don’t cooperate. 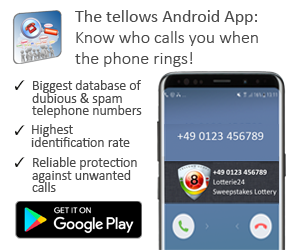 Clearly an illegal scam targeting some moronic collection agency, caller threatens to call your employer in 4 hours if you don’t call them back. When you actually do get someone, they have no clue about collection law. They refuse to give you any information, will not give you a debt verification letter, nor will they send any information to you. This is ILLEGAL!! Know your rights, call the Ohio Attorney General’s office, Federal Trade Commission, Better Business Bureau, and the FCC, then call the Cleveland Police and file a complaint, have the District Attorney file a cease an desist order, and they will be arrested if they don’t stop. THEY ARE LIARS, DO NOT COOPERATE. But all this stories aren’t as interesting as this one. Here the people aren’t actually pestered by calls but by e-mails. You get an email from someone called Mr. Benjamin Josh Gibson and also recieve his phone number 7167774105 . In this mail you read a heartbreaking and interesting story of a bank manager, who can’t find the owner of 4 Million$ and simply decides to take it for himself. He extends an invitation to you to assist him in his plan and everything will be devided 50:50. This is like a movie come true but the catch is, that at some point you’ll have to give him your bank account number to send the money from his bank and then it will be your money that is in danger if beeing transfered. I got an email a few days ago from the guy I mentionen above and I think he tried to make me do some pretty illegal stuff cause he told me something about a man who left behind large sum of money, 4 Mill I think, in a fixed deposit account in his bank. Yes he says he works there. In his email he describes extensively how he tried to find that man but he never succeeded(should I feel pity for him now?…. ), well he kind of did, but then this rich Mr. Rime Vishnuramann already died . Now he came up with the idea to make me pose as his next of kin to get hold of the money. The government wouldn’t be able to do much good with it and we, as in me and that guy, actually could. It’s all “safe and beneficial.” and “not a matter of being greedy or having ugly morals”…. Yeeeeah riiiight of course it is!!! all would go well becaue his department would be responsible for everything and we will share 50:50. I laughed for 5 minutes when I’ver read this! I mean how much more rediculous can this situation get??! I’m sure, I’m not the only one who got that messasge an I think there won’t be enogh Millions for all of us. I’m terribly sorry Mr. Gibson but I’ll have to decline your kind offer. I Know how this works. In our next conversation I’ll have to give you my bank account number, so that you can transfer the money from your bank and miraculously all of my money there will vanish, just like you. That’s why I can only say it again: Thanks but No!!! These numbers teach us a proper lesson on frauds and their techniques: never give your personal information to someone you don’t know, even if he promises you 2 Million$. Beeing careful is the prime rule concerning this kind of things and we hope that through this article, we could help you to be aware of what you have to be careful of. This entry was posted in knowledge and tagged debt collectors, Harassment calls, HSBC, IRS, Mr. Benjamin Josh Gibson, threats with restraining orders on Wednesday October 9th, 2013 by Polly.